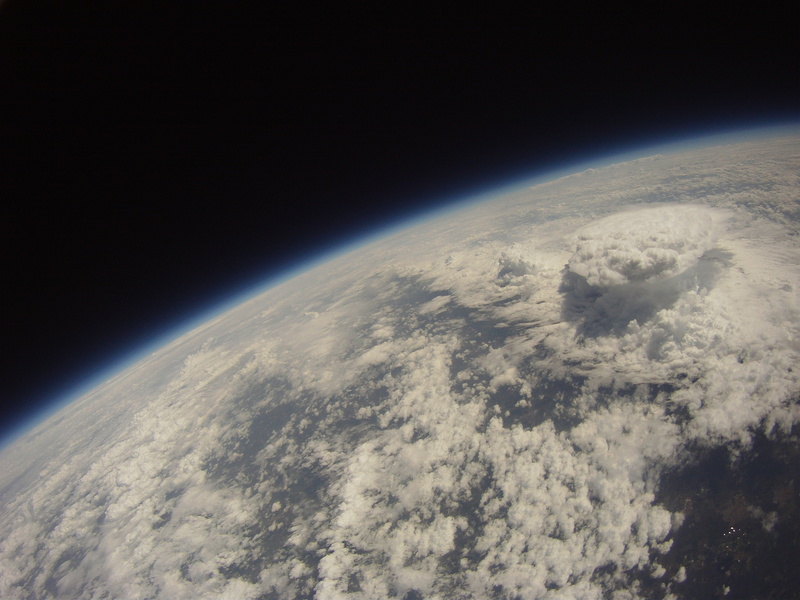 Students can visit outer space…through balloon photos! Ever since daredevil Felix Baumgartner jumped from that space capsule above Earth and broke the sound barrier, I’ve been fascinated by photos I get from Madison County schools that participate in near-space balloon launches. Here’s something I received from the city of Ridgeland. Enjoy! At Olde Towne Middle School, teachers Bobby Robinson and Bill Richardson have taken science and technology to an entirely new level. On any given day at OTMS, students may find themselves using photosynthetic lasers, calculating accelerations and velocities of rockets, learning flight simulations, creating pyrotechnic chemical reactions or building robots. The objectives are simple: to engage students in hands-on activities, to promote critical thinking skills needed to solve future issues, to increase science awareness with real-world applications and to conduct quantitative analysis to aid in scientific skill development. Okay, maybe that last one isn’t so simple. But this is rocket science, after all. Recognized by the Sally Ride Foundation for their achievements in near-space exploration, the OTMS Radio and Technology Club and the Science Team Elite have the only successful ongoing non-college space program in the state of Mississippi. This team once held the world record in the field of telemetry reception, and their record now stands at second place. “We have won grants from the Amateur Radio Relay League to put a radio station in the classroom to help show electronics technology, communication skills and robotics,” Bill Richardson says. Their station is an amateur radio one which is used to talk to others in 45 of the 50 U.S. states, Northern Ireland, Spain, Australia, St. Helena Island, Japan and so many more. As if that wasn’t impressive enough, these students are now preparing for a trip to space… or near-space, to be more exact. They plan to launch their third near-space balloon on April 13, 2013, at 9:00 a.m. With Bill Richardson as the Flight Coordinator and Bobby Robinson as the Science Director, Eagle3, a HALO (High Altitude Launched Platform), will rocket into the atmosphere. The OTMS team has already sent two near-space balloons into the atmosphere, reaching altitudes greater than 90,000 feet. 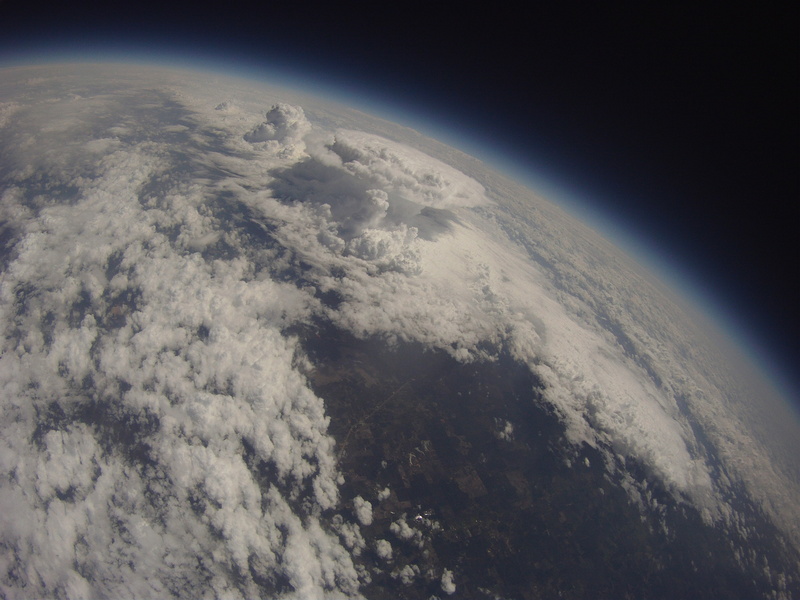 “These balloon launches give the students the chance to learn about the earth’s atmosphere like no other class,” says Richardson. The same project that these 12, 13 and 14-year-olds will enact with their instructors earned a man named Victor Hess a Nobel Peace Prize in 1936. Many of these high level tests have left PhD level scientists scratching their heads. Together, these clubs have captured very unusual high speed cosmic particles on film that could not be identified by NASA or any university. Big plans for new innovations are also in the works. “We are currently working to send cricket-o-nauts to near space as well,” Bobby Robinson explains. Though their accomplishments are numerous, even greater things lie ahead for OTMS.